Yesterday I ran my final 2019 Vancouver tune-up race, the CARA Lakefront 10 Miler. 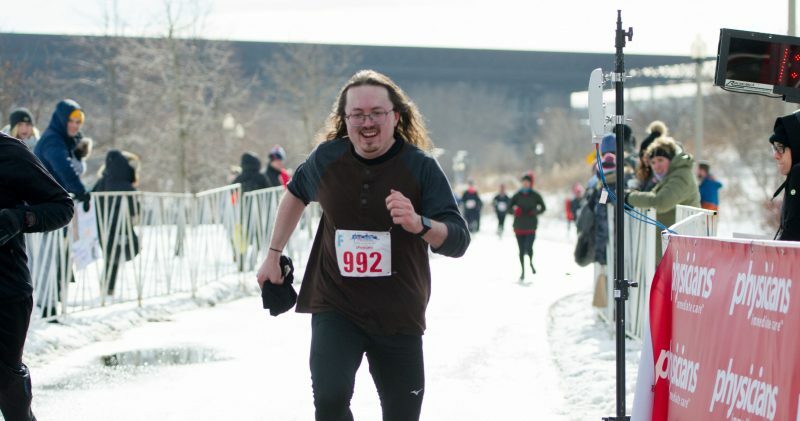 The 1:36:24 was my slowest finish in a 10 Miler to date, but I had fun (the LF10 is my favorite Chicago race) and the race turned out well in other ways. As mentioned, I got sick with the flu at the end of last month. While I bounced back quickly for such an illness, I did lose over a week of normal training (plus, likely in part because it was starting to get me, I had reduced my volume a bit the previous week due to fatigue). I ran a lot less than usual while recovering. Once recovered, I had to ease back into my prior volume over the following week. In fact, I only got back to normal volume right before this race. I hadn’t done any speed or tempo work in several weeks. I was definitely not trained to race the 10 Miler. I wasn’t even sure if I could hold anything beyond an easy pace for 10 uninterrupted miles. Alas, I settled into a (slower than most of the people around me) pace, and managed to comfortably hold it for the entire distance without any real distress (even powering past people on inclines, including the LF10’s infamous Cricket Hill finish, by merely maintaining tempo). The pace slid between 9:00-10:00 but mostly hung in the 9:30-9:40 range… which incidentally was my originally hoped for marathon pace! I even sped up without trouble and took the LF10’s final lap around the Wilson Track at 1:59. While sore and tired like I ran a race, I didn’t feel as sore or tired as usual. Following an afternoon meal and nap, I went back out and ran a couple more miles (with some speed reps) to finish the day at 17.8 miles (between runs to/from the race, the race itself, and the evening run). I’m now 21 days, 3 full weeks, away from running the 2019 BMO Vancouver Marathon. I’m also now real glad I got an early 20 miler in a few weeks ago and ran an early Half Marathon, because with this past month’s difficulties I haven’t been able to get another 20 in since. Nor was I able to get in a lot of the consistent 60-90 minute runs that best build your aerobic endurance for long races. I’ve had decent length long runs in the interim, and averaged about 30-40 miles a week overall. But I’m far short of the mileage I was hoping to log by now. On the plus side, sickness derailment of my regular training forced quite a bit of recovery time, which basically doubled as an early taper period. If I decide during this week to re-peak my mileage, the amount of recovery required during the final 14 days won’t be as great. Plus I’m still within the window where peaking can manifest benefits at the marathon itself. Obviously, I don’t want to go all-out and overdo the volume this week to the point of injury or some other problem. I know how much volume I can handle, and I still have scheduled easy days during the next week. I’ll probably stick to marathon specific tempo for anything beyond regular distance running. Once I get to 14 days out, my volume will still go down to taper ahead of the race. My goals and game plan for the race definitely had to change during the past couple weeks. Knowing I’ve trained trivially little to hold pace over hours (LF10 was a surprise in that I could hold pace for that long; the longest I had held a pace like that since the F3 Half), I realize that trying to hold 9:30-9:45 for 26 miles at this stage is probably unworkable. I imagine that something closer to 10:30, a little faster than I do regular runs (around 11:00-11:30, typically after work with weight on my back), will work better. That works out to about a 4:35 marathon if I manage to hold the pace the entire way with typical pre/in-race fueling. Of course, I imagine it won’t work out perfect, so it’ll likely be slower than 4:35 for all sorts of reasons. My main goal at this point is to run one out and cross the finish without substantial issues, no matter how deliberately I need to run it to do so. So, one more week of high volume training, and then I chill out until race day.